Any dullness or pores are disguised and transformed into even toned bright skin by the effect of the lights reflection. 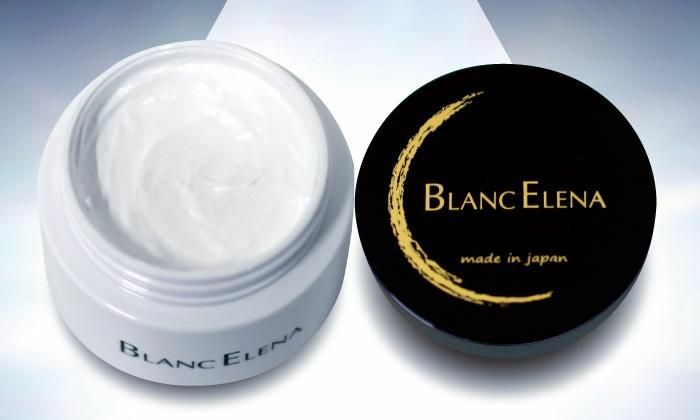 This is a beauty cream which produces natural white skin. 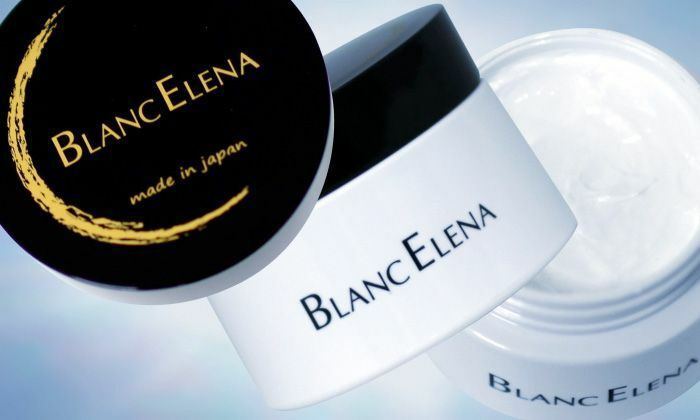 A small amount of cream blends easily, and the excellent moisturizing keeps the skin healthy by blending six types of plant extracts and fullerenes to moisturize the skin. After washing your face and drying, take an appropriate amount with your fingers and distribute evenly to any area of the skin that you want to make more beautiful. From the face and limbs, to your neckline etc, it can be used anywhere on the body. 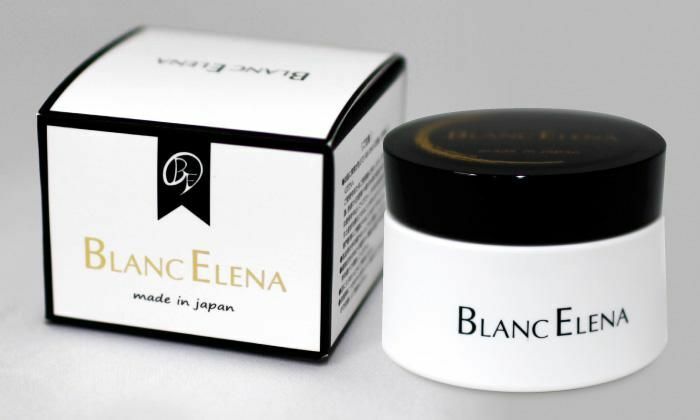 BLANC ELENA is a halal certified cosmetic made with carefully selected materials and containing no alcohol or animal-derived ingredients whatsoever. The quality you get with a product Made In Japan starts with the water, plants, and other raw materials, continues through the manufacturing environment, and doesn't end with the packaging and storage. It brings peace of mind to you and your skin. 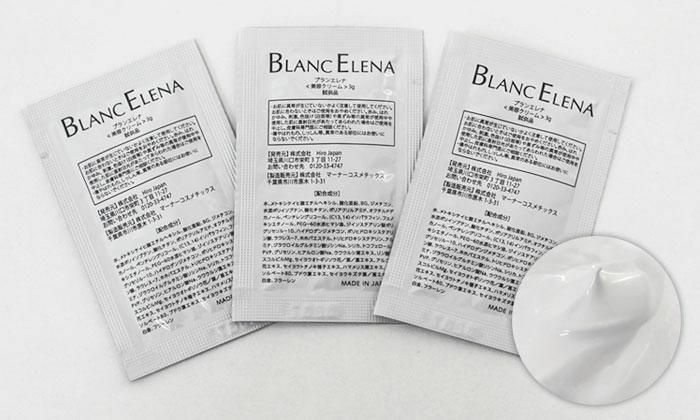 It's a halal cosmetic, gentle to the skin, which anyone can use. Hiro Japan is pleased to offer items favored by women of Asia for their safety, high quality, and gentleness to skin. Our products let you express your cool and beautiful side or your cute and sweet side whenever you like. Bringing Asian beauty to the world! Our corporate philosophy is to "deliver beauty and health". And it makes us happy to serve as a "beauty partner" to our customers, by helping them to stay healthy and beautiful forever. Sản phẩm với lớp kem trắng mịn, dễ tán đều trên da, tạo cảm giác tự nhiên dễ chịu. Tuy nhiên khi thoa lên da thì cảm thấy có mùi ko khó chịu.